After visiting with family for a while over dinner, we went for a long creek explore at the country church where my grandparents are buried. It was a day full of tenderness. 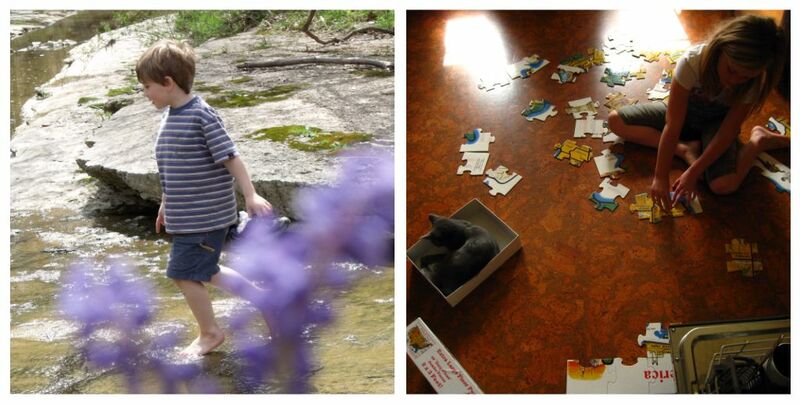 This is my moment…Jasper, the magical creek, and the sweetest smelling wild grape hyacinths that were growing all along the water’s edge. 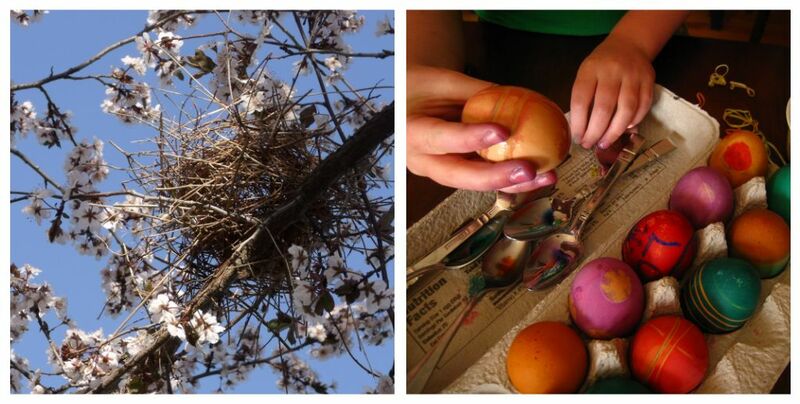 the sun filling the nest in the flowering plum tree…such was this wonderful day! We went from rain and heavy grey to the most beautiful sun filled blue skies…I LOVE SPRING!! After we got Austin off to Mexico this morning we came home and colored eggs. Today is so nice, no soccer, no real responsibilities just relaxing as you wished upon me:) I do feel like I want to plant my lettuce and cabbage which I have never done before so I will have to see how that goes? Hope your weekend is filled with family time and relaxing! 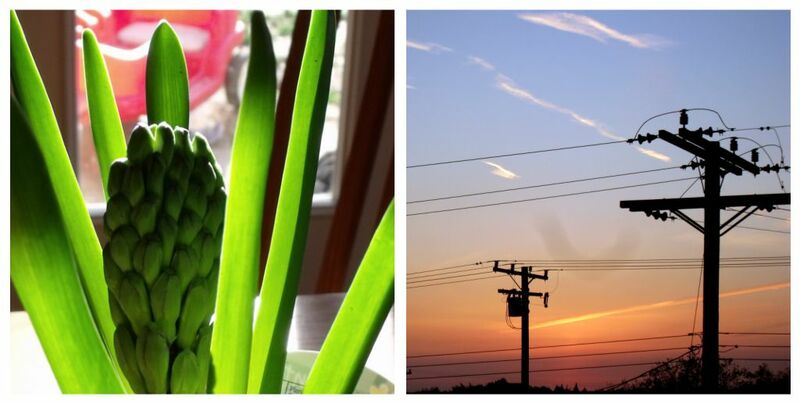 I am glad I saw our hyacinth glowing in the morning light and took a moment to capture it’s vitality, with the wagon in the background it feels to me that it speaks well of my life right now, spending more and more time out in the warm sun, soaking up what I need to grow! as we were driving down a hill we saw the sun beginning to set and the sky looked so pretty so the moment we got home I got up on our roof with Rich and took a picture of it and he and I watched it go down. So here is my picture. day and moment 364 March 17, 2011 (St. Pat’s) and our final day to be revealed on Monday! !